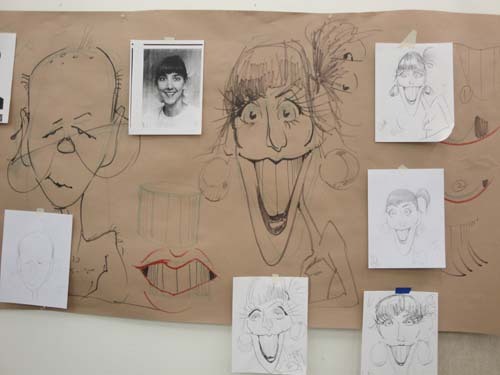 The Art of Caricature: Try Teaching That! That last part is important. 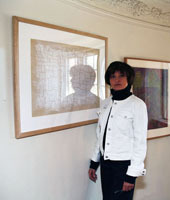 I tack a long sheet of brown paper on the wall and draw with black markers so that everybody can see. 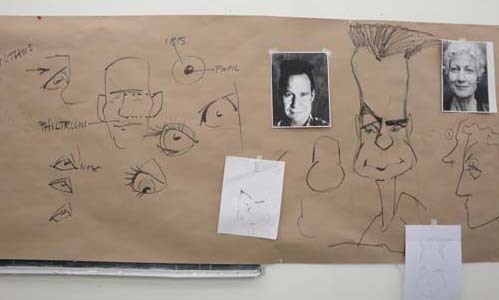 Every student will have an 8½ x 11 printout of the face we’re working on and I will have the same face taped to my brown drawing paper on the wall. We go at it. How do you look at this? What feature will you push and pull? How do you enhance the expression? All this, while keeping the likeness. In fact, the likeness will be enhanced by our pushing and pulling. 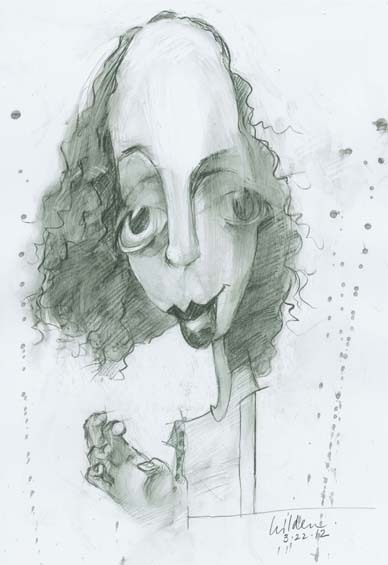 A good caricature looks more like the person than a photograph. It’s fascinating. I will also sit next to individual students and draw along with them. I provide the copies of the faces but students can also bring in their own choices. Hmmm, friends and family. Of course, the class is fun, but it’s also serious work and very challenging. (To see my caricatures of political and cultural luminaries: http://facefame.wordpress. 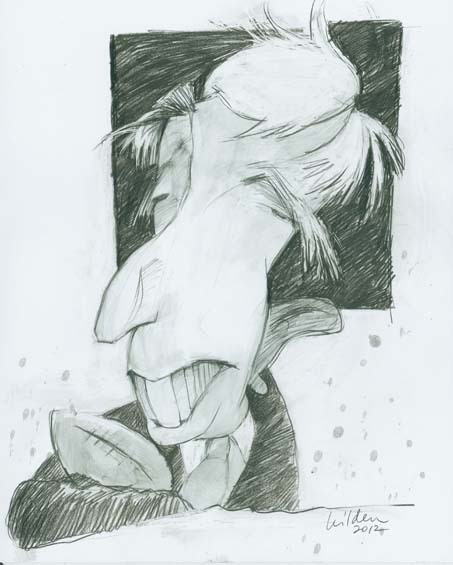 You’ll find the above caricatures of John Updike and Joyce Carol Oates in that blog.